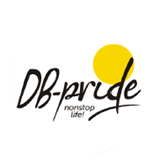 DB Pride: We not just build houses we build career too. We hope that you have found it helpful for your informational needs. For further details and enquiries, feel free to get in touch with us and one of our representatives will get back to you at a time convenient to you. D B Infrastructures Pvt Ltd.